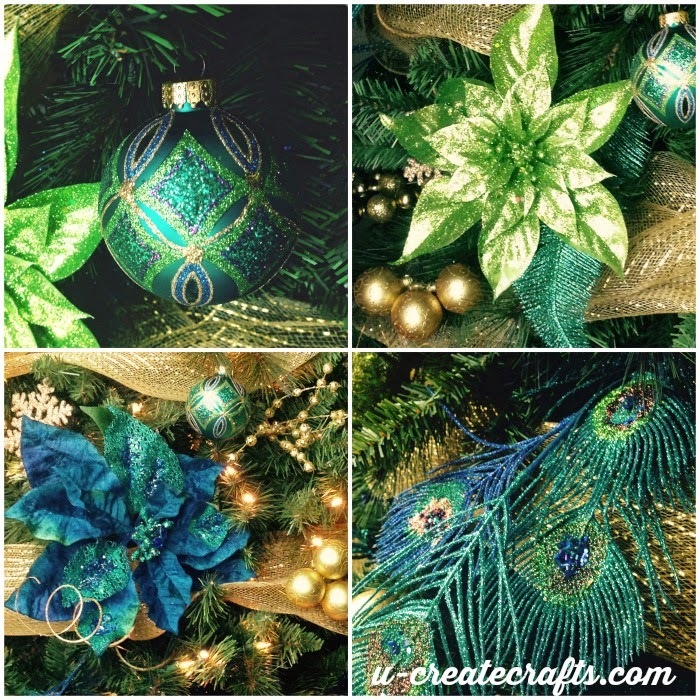 One of my favorite challenges on this planet is the Michaels Dream Tree Challenge! This is the third year we’ve had the opportunity to participate. 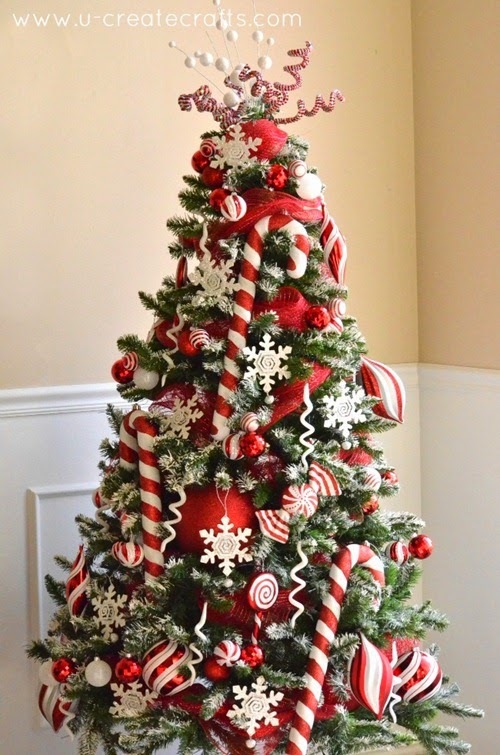 The first year I created my Peppermint and Snow Christmas Tree, the second year Becky created this beautiful Christmas tree, and this year I decided to give my mom her dream Christmas tree! We were talking about the color turquoise in her living room and decided to go with a beautiful peacock theme. To my surprise, while I was shopping for tree supplies I found these gorgeous ornaments and knew mom had to have these! I love the whimsical look of these gold and green Christmas picks and just simply shoved them on top! I used some wide gold tulle ribbon – I love how easy it is to shape and it makes such a great filler! 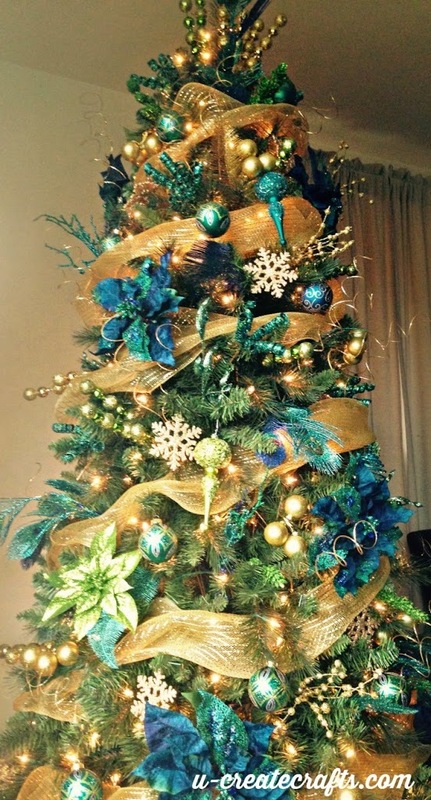 Mom was thrilled to have her new Christmas tree and it looks amazing in her living room! 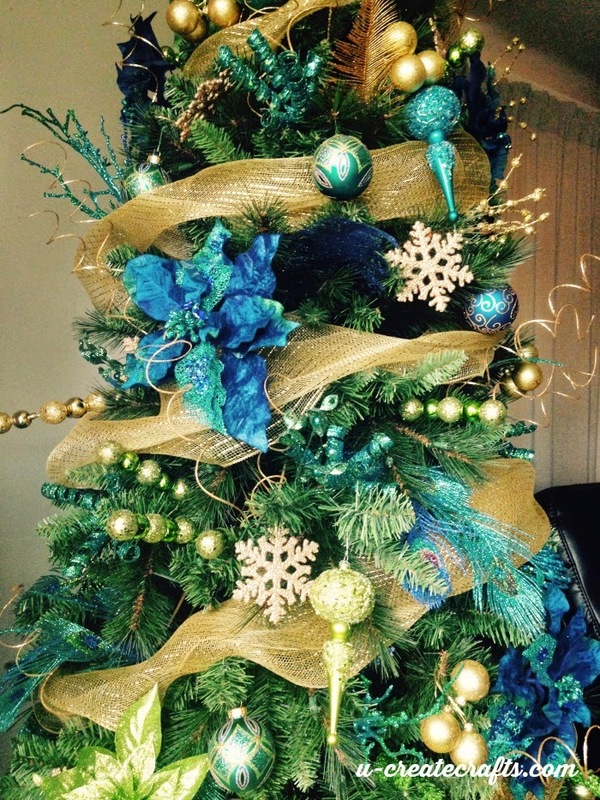 I think decorating Christmas trees has to be one of my favorite things to do…EVER. 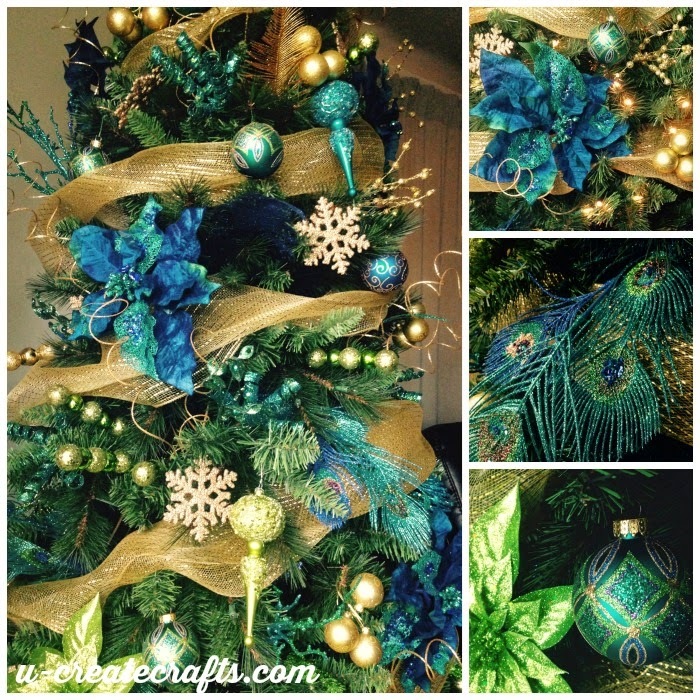 Make sure to check out all of the amazing blogger trees below! Thank you so much Tanya! My mom is loving her new tree! yayyyy!!!! loving the new blog layout. You’re right, much easier to navigate. love you! Love the colors! Hope to something like this in my family room this year. 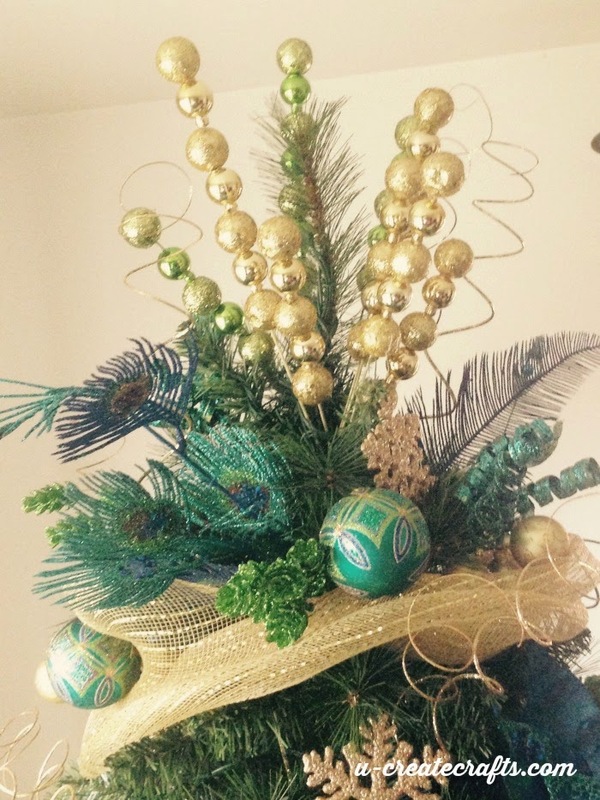 Where did you get the blue/green poinsettias?